There have been some changes to the way we register this year! Register multiple individuals from a single account, allowing you to register and manage your whole family from a single login! Search for your club and click on "Start Registration" to find your clubs registration page. You will need a Football Account to register. If you do not already have one you can create one very easily using your email address, facebook login, or google login. FFA migrated all current and previous registrations to the new system. If you have registered before you will be able to claim profiles from MyFootballClub provided you use the same email address for sign up. IMPORTANT - You will not be able to claim your participant history if your email address or social media login does not match the email address used for registrations on the old MyFootballClub! If you no longer have access to the email in MyFootballClub - set up your Football Account with your new email, contact us (secretary@richmondsoccer.com.au) so we can then link your participation history to your new account. Then you can continue on with your registration. We strongly recommend that you set up your Football Account and claim your old profiles prior to registrations opening on the 10th January, to avoid delays due to high traffic! NO PHOTOS HAVE BEEN CARRIED ACROSS TO THE NEW PLATFORM!! We can arrange this for you at our face to face registration days, so please be patient here, as you can imagine how big a task this will be! Please note: The PlayFootball website and all relevant registration windows are designed to work best under a Google Chrome environment if using a PC. For a "How To Guide" step by step with screenshots to registering on the new system please click Here or check the info in the Regos and Active Kids menu on the Menu Bar for a more summerised version. Don't forget, where applicable, apply for and obtain your Active Kids Voucher Number BEFORE starting to register your child online! You will need this voucher number to enter into our registration portal! Please ensure you or your child are registering in your/their ACTUAL age group, not where you/they want to play!! If for no other reason.........it makes your registration costs CHEAPER!!!! If you would prefer, come and see us at one of our Face to Face Registration Days and we can take your photo for you. Remember an unacceptable photo means......no card........no card means....... NO PLAY!! Remember you can also come and see us on one of our Face to Face registration days or contact us if you have any concerns or questions! Fee structure will remain as 2018 to decrease money handling for Mangers and the Treasurer. We are trying to implement safe and better practice in this area. **IMPORTANT - The above Fee is a one-off all-inclusive fee/NO weekly match payment, covering all NFA, FNSW, FFA, Registration, Basic Insurance, Hawkesbury Sports council levies, Richmond ExSSC fees, Referees fees, presentation costs, Canteen workers & Admin position. *NB insurance has increased by $8 for all All Age players, Richmond ExSSC have managed to absorb these fees. Once Again our 2018 Pink Day was a resounding success!! Below is a Thank You received from the McGrath Foundation for our support again this season. As we close the year and start the festive season, we wanted to reach out and say a heartfelt thank you, for all your support this year. Tracey, it's meant that people like Jen in the video below, has had a McGrath Breast Care Nurse to support her and her family during one of the worst times of her life. 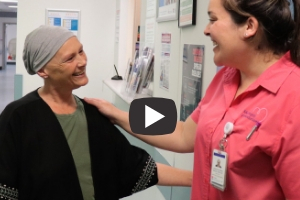 Please take a moment to watch as Jen tries to put into words what it means to have her McGrath Breast Care Nurse, Sam, by her side. Press play! 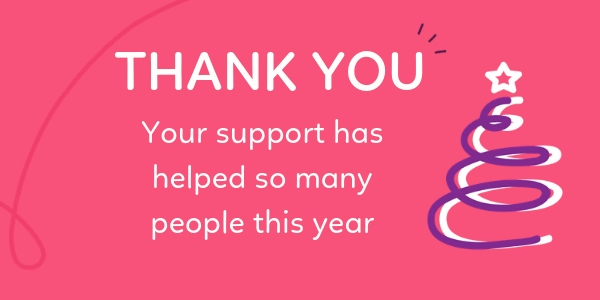 Please know that your generous contribution has made a difference to so many people experiencing breast cancer. With the first few weeks of the Competition Draw being released today, now might be a good time to set up your My Game Guru account. Please ensure you follow both Nepean Football Association AND your relevant Richmond Ex-Servicemens Soccer Club team. That way you won't miss any changes made to venues and times, or cancellations due to wet weather! Apply online for your voucher via your MyServiceNSW Account. How do I create a MyServiceNSW Account? Register a MyServiceNSW Account online. A parent, guardian or carer of an eligible child can apply for an Active Kids voucher for their child once they activate a MyServiceNSW Account. How do I find an approved provider? You can search for approved providers on the Service NSW website. My activity provider isn't showing on the list, how do they become an Active Kids provider? Contact your provider and ask them to sign up to the program if they haven’t already. What information is required to apply for a voucher? You will need to log in or create a MyServiceNSW Account to apply for the voucher. You will need to provide your contact details when registering for a MyServiceNSW Account. Once your account is activated, you will need to enter details for each child when applying for a voucher. Details include their name, date of birth, Medicare number and some basic information about their current activities, if any, and basic information about height and weight (optional). How do I apply for a voucher if there is no internet access or online connections? You can visit a Service NSW service centre and apply for the voucher at the self-service kiosk. How do I apply for an Active Kids voucher? You will need to create or log in to a MyServiceNSW Account and apply for the voucher. I don’t have a mobile number or email address to use for my account setup, how do I continue? You can visit a Service NSW service centre where a digital representative can help you setup an email address. No, approved activity providers or sports club only need the voucher number and expiry date when processing your registration. Why do I need to provide my child's Medicare number? We are completing a check on Medicare records to validate your child's name and age, to ensure they meet the eligibility requirements of the Active Kids rebate program. I want to apply for more than 1 voucher as I have more than 1 child, how do I do this? You can make multiple applications within your MyServiceNSW Account. Should I apply for a voucher for each child as I have more than one child? Yes, you must apply for a voucher for each child or young person. Each child must have their own voucher with their name on it at the time of registration with a provider. Each child must be school-enrolled, home schooled or enrolled in secondary school education at TAFE NSW or equivalent at the time of application. Can I combine vouchers for different children, to be used for only 1 child? No. You can only have one voucher per child. Each child must have their own voucher displaying their name. My child exists on 2 Medicare cards, which number do I use? Use the card that you and your child are listed on together. Each child is entitled to claim one voucher per year. My child is not on a Medicare card, how do I claim a voucher? To be eligible for the program, your child must be listed on a current Medicare card in order for their name and age to be validated. If your child is eligible for a Medicare card, please contact Centrelink, Australian Government Department of Human Services to apply for one. How will I receive the voucher? On completion of the application form, and if eligible, a voucher will be generated with the recipient’s name and a voucher code number. The Active Kids voucher will be available for print at time of registration, via emailed to the applicant’s account email address or sent by SMS to the account mobile phone on completion of the registration. I have submitted the application and I entered the incorrect height/weight details of my child. How do I change this? Unfortunately, we cannot change your child's height/weight once the application has been submitted. You can provide the correct information next year when you apply for another voucher. My child is already a member of a club. Can I still apply for voucher? Yes, you can still apply for a voucher if the student/child is eligible. The club or providers must be approved and registered with Active Kids to accept the voucher.